Secure and easy-to-use breathalyzer. It helps to determine whether the alcohol level in the exhaled air exceeds 0.2 ‰, which as such is a limit value for driving vehicles, especially in Norway, Sweden and Poland. 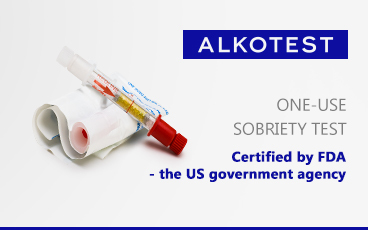 The product is certified by the U.S. Food and Drug Administration (FDA). The top class breathalyzer intended for individual use. 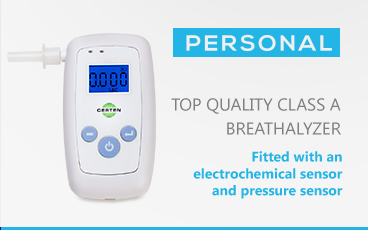 It is equipped with the advanced electrochemical sensor and the pressure sensor. 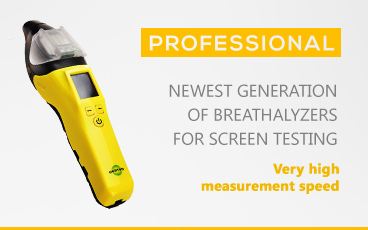 This breathalyzer is recommended especially to drivers – also those professional ones. This is a technologically advanced screening breathalyzer which allows a large number of persons to be tested. The use of the mouthpiece is not required. The police-class breathalyzer is recommended to companies and institutions which require their employees to remain sober.